John was born and raised in New Heaven Connecticut and moved to Miami Florida when he was 12 years old. Now a Registered Nurse, he received his Bachelor of Arts degree at the University of Florida in 1981. He is a Member of the oncology nurses society and a part of the Association of Nurses in Aids care. 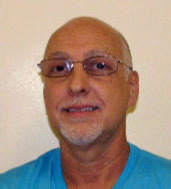 He have a background in oncology, HIV care, worked at the Village South Addiction Treatment Center as an admissions Registered Nurse and has over 30 years of experience in various nursing specialties before becoming one of the Registered Nurses at Barry University Student Health Services in January 2013.